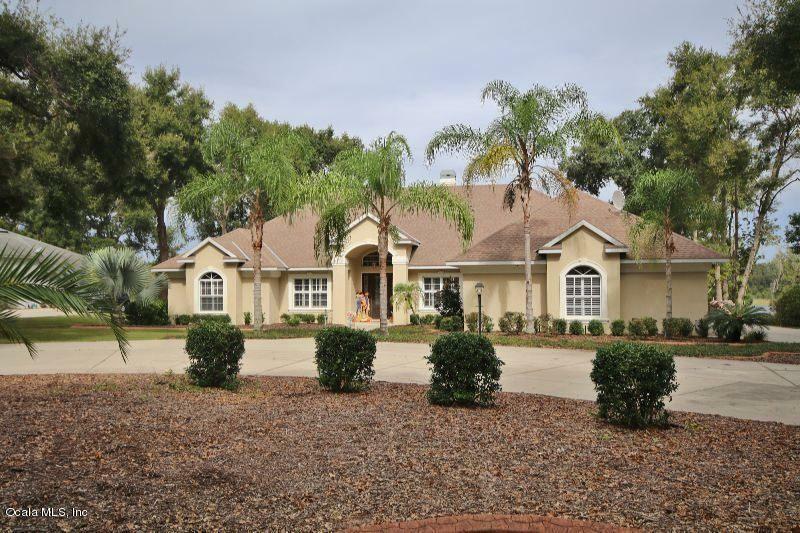 816 Hawk Landing, Fruitland Park, FL.| MLS# 546187 | Spruce Creek Realty...Retirement Communities in Florida, Resale Homes In Spruce Creek South, The Villages, Stonecrest, Del Webb. LAKEFRONT with POOL. 5 Bedrooms and 4 Bathrooms on almost two acres situated on tranquil peaceful waters. And that is only the beginning with this beautiful and serene home that has formal living & dining areas, Huge kitchen with island & walk in pantry for the ''gourmet '' cook and breakfast nook open to great room.....all with granite countertops. all bathrooms have custom sinks and granite countertops as well.